This Short and Easy Pilates Audio Really Delivers! You’ve just got to try this! Best back pain relief I’ve found. Decades ago a back injury nearly sent me to surgery and who knows how much pain medication, had I not found Pilates. I was so impressed with the results I became an instructor. Pilates really works for most back pain. Ask any physical therapist. In fact, ask any doctor what’s best for back pain and they’ll encourage you to try exercise first because it helps most of the time. Not all the time, but more often than not. So I was very curious to try this short audio by long-time Pilates teacher Lynda Lippin presenting easy and gentle moves for back pain relief. I was particularly curious as to how it compared to my own quick routine that I use each morning to manage my back stiffness and pain. It’s better than mine! It’s actually quite surprising. After I do it there is no pain at all, no matter how I move or twist – remarkable. Give it a try. And the fact that it’s audio and NOT video is even better so you can close your eyes and really concentrate on the instruction and how it feels in your body. She guides you thru moves that are easy and safe, yet very effective for loosening tight areas and strengthening muscles that will eventually protect you from further strain and pain. I recommend this highly! It’s really the best back pain relief I’ve found! And even though she guarantees relief after 2-3 weeks of daily use, I found relief after the first time I did it and every time thereafter. I know it sounds too good to be true! Just try it. If you have chronic back pain as I do you have absolutely nothing to lose! 1 in 3 American adults suffer back pain and our modern medical care provides relief only a third of the time whether it’s surgery, therapy or medication. Exercise remains the most effective treatment, but the trick is finding the right exercises for you. This just may be the lasting relief you’ve been long looking for. Oh, I almost forgot! There’s something extraordinary about Lynda. 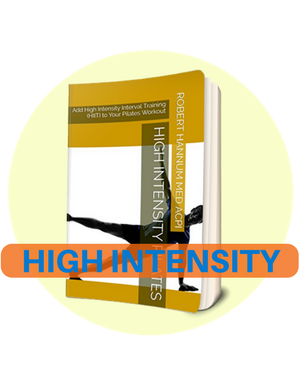 She does not overwhelm you with physiology and imagery that has slowly but surely come to dominate Pilates instruction ever since Joe Pilates passed away in the 60’s. As many of you know I constantly call for simpler and easier Pilates instruction especially for beginners. Lynda’s instruction contains no head-scatchers! Nothing complicated! It’s rare and wonderful Pilates instruction! And Lynda is offering a 20% discount just for my readers. Use coupon code BH20. By the way, I accept no compensation of any kind for this or any review.